White Vein Maeng Da Kratom is a highly recommended kratom strain for users who need to keep a fresh mind for a considerable part of their day. Because it’s a variety of the Maeng Da strain, it can provide a euphoric feeling that also helps users stay energized. It is not as potent as the Red Maeng Da strain, but its mildness has its own perks. It allows you to enjoy the benefits of the Maeng Da strain without any overpowering effect. This strain is ideal for moderate users and those who want the perfect balance between relaxation/stress management and getting things done. What Alkaloids are Present in White Vein Maeng Da Kratom? White Vein Maeng Da is excellent for those who suffer from social anxiety. If you tend to get anxious in social settings, taking this kratom strain can help because it has a relaxing and mood enhancing effect that enables you to be more sociable. White Vein Maeng Da also helps users be more in control of their emotional state. You can expect to experience a mood boost throughout your day. It is recommended for those who suffer from mood swings. It has an energy-boosting effect that will help users carry out daily tasks. If you’re having problems with your productivity, this strain might be able to help you. White Vein Maeng Da Kratom has mild pain relief properties. It can help you cope if you’re dealing with mild pain. The alkaloid concentration in White Vein Maeng Da Kratom is quite strong. It contains significant amounts of 7-Hydroxymitragynine, Mitragynine, Speciociliatine, Speciogynine, and Paynantheine. Because Maeng Da has high alkaloid concentration compared to other kratom products, it is easier to feel the “kratom high” when taking this strain. Be very careful when taking anything more than 10 grams because negative effects are almost guaranteed to occur. The true origin of this strain is somewhat in dispute, mainly because the name Maeng Da was primarily used as a marketing tool and not to allude to the strain’s place of origin. The term “Maeng Da” translates to “pimp grade” which highlights its strength and potency. It was initially used by kratom vendors in order to make their product more attractive. However, the consensus is that Maeng Da comes from the leaves of kratom trees from Thailand, where some locals have been developing the superior strain for years through the use of grafting techniques. However, some growers from Indonesia and Borneo also have their own version of this strain. Wherever it is sourced, White Vein Maeng Da almost always has the same main feature: it has high energy profile so it’s great for users who need to feel motivated and energized at work. White Vein Maeng Da is a balanced strain. It gives a balanced mix of the effects of red and white strains. Red strains are typically the most potent and fast acting and red Maeng Da strains in particular have a decent sedative effect and are very good in helping users release stress and relax. White Maeng Da, on the other hand, is known for being a great stimulant and boosting mood and cognitive function. White Vein Maeng Da gets you to the Goldilocks zone. It has mild sedation and pain relief properties. It has very good stress relief properties. This means that you get to enjoy a relaxing strain without feeling sluggish. With White Vein Maeng Da, you get to retain excellent optimal cognitive function and the euphoric effects even helps you become more sociable. This is why it’s one of the best recreational and anxiety management strains out there. While it can be a good kratom for opiate withdrawal, the high alkaloid content can also make users prone to kratom addiction. Always mind your doses to make sure that you get only the desirable kratom side effects. If you want to experience White Vein Maeng Da Kratom effects, try some from Coastline Kratom. It’s one of their best-selling strains. 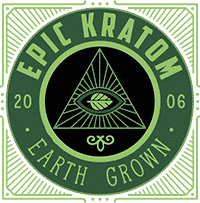 If you want to do some experimentation, you can also check out their kratom extract or use their kratom powder to make your own kratom tincture. Contact them if you are interested in purchasing kratom wholesale. Their Maeng Da Kratom capsules, Maeng Da Kratom powder, and Maeng Da extract are especially in demand because of its superb quality. Although White Vein Maeng Da Kratom is not as potent as red strains, it is a good go-to strain for mood enhancement and stimulation. It can rival even write strains when it comes to stimulant properties. This is why it is the best kratom for those who need a little help in order to get through a demanding day.